There is a past history! The current controversy on what is nationalism and patriotism is taking communal overtones. There is a history to the rise of nationalism in the modern world. The First World War (1914-1919) sharpened nationalism with the fall of Ottoman Empire and the birth of new nations. The second war, again, led to the breakup of the British Empire and the triumph of Indian nationalism, led to independence though the country partitioned. Where were the Indian movements like Dravidian separatism, Hindu Maha Sabha, RSS. What were their roles in Independence struggles. Why a new cry for nationalism? After 65 years of practice of Parliamentary democracy and secularism? You can’t disclaim history, can you? So, read your history, history of Europe and see when nations learnt to live under secular agreements. Today’s nationalism debate, if at all, again, has to study the current historical reality and historical truth. We have to look around the world. Study the conflicts, wars and the much terrorism. RSS is talking for for a narrow agenda. Even the PM has to tread cautiously. So, let us be responsible citizens and talk. Let us not rock the boat! W e need a progressive and open-minded, liberal outlook. Any right-wing, regressive and violent-minded extremisms would spell only more troubles. So, we need much caution and a restrained language here. We are living through new nationalism-stirring world. Refugees flooding Europe, new national, ethnic identities are debated across the world. So, in India to we seem to be only touching the surface of the issue. In the coming days, we would have to debate more on this sensitive topic. Here are some new thoughts and reflections. How many know how nations came about? How they survive today? Why there are troubles and wars in Middle East and Ukraine? See what the German Chancellor Angela Merkel facing for letting through the refugees from a host of nationalities. An open-minded debate is only timely! Even the Indian debate, both by the BJP and the Congress are incomplete. We don’t venture beyond the over-threaten path. Here are some new insights. The current world scene is in itself is witness to the many nation states in troubles. So, we say, don’t rock the boat with your own ignorance! Terrorism and violence is a reality. Only world leaders have to act with greater sensitivity. This imperative calls for action on many fronts. Nationalism, free speech and freedom of expression are sensitive topics. Terrorism and violence and communal clashes is one problem. Another is issue of governance today. So, in a way, Indian scene, both the political and the social scene is far from comfortable. There are many narrow-focused approaches that are contributing to the present strife in the country. Certainly, obstructing Parliament is not political wisdom but a short-sighted immaturity. Why the new debate, free and frank and open-minded will do much good the country. Simply because there is of late not much enlightened debate on fundamental issues. On the contrary there is a silent reverse of much suppression of new debates on such sensitive issues like freedom of speech and as for Indian in particular such emotive issues like nationalism and national identity are being twisted by the new regime. In the olden days, under the UPA dispensation it was assumed that what we held as nationalism, patriotism and secularism were compatible with democracy, we mean, parliamentary system and even in economics to some extent democratic socialism. Today under the Modi regime there is a new debate. Debates are always welcome in a democracy so that there is constant clarifications and new articulation s. Ideas and polices due change and new ideas are what gives a polity its rigour and vitality. In this sense, let the JNU event and the subsequent events lead, we hope, to a new vision of India. Now, for the bigger questions of freedoms of speech and liberty, these are time-honoured concepts and always agitated and men and countries.What is new in the debate just before India is the new interpretation given by the BJP. More so the hotheads, the fringe groups and the enthusiasts from the BJP’s various outfits, including student’s body. Now, what is nationalism? Let us leave out the Leftist, Marxist interpretation. Historically, nationalism may be new and yet the concept of nation is as old as biblical times, right? `Ancient nations, original nations were all realities, as in the Greek and Jerusalem times, as also in the modernist sense of secular nations after the 1648 Great Powers Agreement after the Peace of Westphalia, right? At one point of times, the phrase ‘secular religions’ were also used to define national identities of people. This was a continuous process and if you really care historical details there are plenty of material for the students (See David Cannadine, The Undivided Past, Penguin Books,2013 pages 53-92) Now, the current Indian debate, as we all know, is all about the Hindutva project which the Narendra Modi regime has set its mind and let us see what this implies for the, Nation, Nationalism and anti-nationalism defining projects. Certainly, a nation that too a modern nation cannot come into being from thin air. It has to have a history. As we have noted that the concept of nation is as old as man. It is both ancient and medieval and modern as well. As for India, we all know that Indian nationalism sprang forth out of the rise of the European Enlightenment that put reason as opposed to religion in the scheme of modern man and also that led to the 1789 French Revolution. The medieval Europe broke up, as the medieval India also gave way to British and other European colonisation and the various imperialisms. Unfortunately, what we know by way of history is what the British had taught us, told us, right? 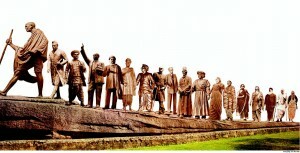 What the Indian leaders, both the nationalist ones and the Hindutva leaders told us are patchy and based on incomplete history.Now, the Indian state, as we know, is an outcome of the freedom struggle that started, if we can say so, from the 1857 so-called Sepoy mutiny to the various stages of the build up of the national consciousness up to 1947. In fact, the British didn’t tell us what happened in European history. We haven’t learnt from the 19th century, about the 1848 revolution in many European countries, nor do we know enough about what the great 19th century national leaders of Italy, by Mazzini and Garibaldi for the unity and independence of Italy. Mahatma Gandhi was narrowly focused, if we can say so. The 1947 historic date itself was an artificial outcome of the Hindu-Muslim conflicts. The roles played by the leaders of both the Congress and the Muslim leaders of that period were deplorable to say the least. Where were the Hindutva leaders? What were they doing? Let us, Indians examine ourselves, truly historically. So that the future we shape would avoid some pitfalls. If we don’t learn any lessons from history, of India and the outside world, we only would become poorer, mentally and psychologically. Now, as for the Hindutva claims, the party itself started as Jan Sangh and later BJP. The role of the earlier pioneers in the Hindutva movement, Veer Savarkar and others, the founding of the RSS are all well-known. 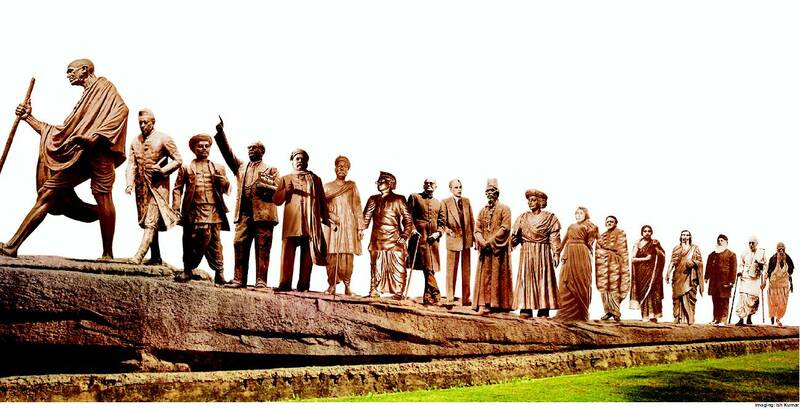 These outfits didn’t participate in the freedom struggle, as the Dravidian parties in the South. But then Time and Tide wait for none! Today, the once mighty Congress apple-cart is overturned and the BJP is in ascendancy. As for Nation, nationalsim and anti-nationalism claims and accusations are concerned, there is only one important thing to cite. It is history, here and in Europe where the concept of nationalism originated. There are any number of nations today. Yet, there is no guarantee whether all these nations would survive or sustain.It is the various circumstances, as pointed by many, notably now by David Cannadine, whether peace or wars or other historic circumstances, say, like the disintegration of the Soviet Russia in 1989 or even the current unpredictable outcome of the Middle East wars or the crisis in Ukraine, all that could trigger unpredictable outcomes. So, it is for the BJP leaders and hotheads to look at history, look at the contemporary world and decide whether some of their pet projects like building a Ram temple or converting the education sector into a saffron brigade or some other entity! It is the historical context that thinking individuals(intellectuals)help a people, nationally or internationally, to avert more wars and bloodshed and help the communities(ethnic, religious and linguistic or racial or even inter-dependent)live in a globalising world. Secular, cosmopolitan and tolerant and modern communities, rather than nationalist or religious identities seem to be the living creed for world citizens today! Let us all become citizens of the world. How much Indians are attached to their own individual freedoms? Why such a question now? There are a few books that have come out in England about the British nostalgia for their bygone days. They, the Brits, now realise that their own imperial glory had gone, their country has sunk into a small island, its economy battered and there is no growth and also not enough jobs. Is this the country once lured over the entire globe, the sun never set on the British Empire, as boasted by Churchill? 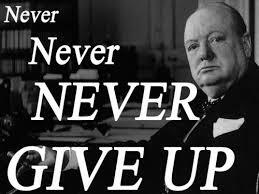 Winston Churchill, the arch imperialist, and the very bull-dog he was and he looked and all this past is gone. Scotland is threatening to go a separate country and there is this self-doubt and self-questioning. Two books. One makes case for Britain being the only country in the World to have upheld individual freedom. The other book dwells upon the Commonwealth as the only hope for Britain to have some international influence. Fine. What do the Indians of today feel about their own individual freedoms? Do Indians inherit the love for their freedoms as Westerners are supposed to do? There is not much seriousness here for Indians when their freedoms are taken away or when they are suppressed under various, known or invidious forms. Why we don’t care for our freedoms much? First we never had had any period in our long history when freedoms or such questions arose. In the West there is the long period of freedom struggles. The Magna Carta of the 12th century defined the British quest for third freedoms. No taxes without representation. This was the battle then. From this period started the rule by law. The current books written in Britain take all the credit for them; the author calls what are terms as the “Aglosphere”. He also includes the US in this sphere. Poor Brits! They don’t want to give credit to anyone or to any other history. The truth is that the Western tradition starts with the Greek and Roman histories and legacies. It is the Greeks who gave the concept of individual freedom from the 5th century Pericles funeral speech as given in the Thucydides” Peloponnesian War. This is the great text, great history written in the scientific sense of the word. The point is that every public school boy of those days (when I was at Oxford in the 1950-60s) would recite by heart in the original Greek history textbook the famous per clean speech. It is deeply stirring and deeply moving and captivating! I myself had sense this thrill when my Oxford friends recited these lines for me. Then, there is the other great, why greater legacy. That is the Roman legacy. How can we forget, this is not just a legacy for the West, it is for the entire world, entire humankind, that Rome became an empire and a great civilisation with its unique evolution of a rule by not one man but by a Senate. Roman Republic, by its very definition, is all about rule by Senate, rule by two persons, then three persons, the triumvirate, by proconsuls and by debates and by such orations by Virgil and others. The Roman history is a history of the evolution of a disciplined citizens, army and every branch of the government. The very life and triumphs and tragedy of Julius Caesar exemplifies the rise and fall of democracy, republican ideals and also the rise and fall of dictatorship. So, arose the term, Roman Law. Yes, there was no concept of rule by law before. It is these legacies the West inherited. And Britain alone can’t claim or monopolises the legacy. Also, as for the rise and spread of individual freedoms, liberty as such we owe to the French Enlightenment the other modern versions. The quest for liberty, equality and fraternity we owe to the French Revolution. Now, as for India, yes, surely Indians didn’t have any tradition of individual freedom in the secular sense. So, in a way we owe to the British occupation for inheriting this practice of freedoms and democracy in India. But then we have to search for some of the basic premises. Do we practise rule of law today as enshrined in the Constitution? This is a question that calls for some uncomfortable issues. We are, lately, moving away from the Constitutional path. We have sabotaged, yes, it is the right word, many institutions and institutional practices. This is long topic. Here it is enough to say that we, as citizens, have to become more sensitive to such issues like freedoms, human rights, right to privacy etc. Also, a resort to basic practices of Constitutional obligations to practice the spirit of democracy, no dynastic rule, no nomination culture and also no corrupt practices of various kind. Jai Hind. How to teach history of our times? How to teach Indian history? How to teach the sciences? From whose points of view? British written Indian history texts no more suit an Independent India, right? So too an India -centric and why even a South East Asia centric world view is what we in India must focus on. It is India, China, Japan that are going to matter more and more to us. To become a strong Asian regional power in the near and why even the far future. So too to teach even sciences, we have to teach, say as Richard Dawkins, teaches us biology and evolution. There are so many such new subjects and teaching priorities. Indian education has to change! Change to make India a more stable and more united and vibrant as a nation! India in the last 100 years!India in the next 100 years! How our schools and colleges have to teach the history of our times? Our schools, colleges need a radical new curriculum. We have been writing on education for a long time. How serious and how committed are we to our education? What is unique in Indian education? If the readers who go through our magazine carefully, they would have noticed that much of what we have as conventional curriculum is what we inherited from the British legacy. Yes, we are very addicted to the English language education but much of what we read as history or knowledge, say the humanities, geography, civics and other subjects are what we have imbibed or inherited, or rather what we have imitated from the British schools’ practices. Unfortunately, what we teach as history, not the history of India but even as the history of the world is what we have taken from the British texts. Especially for India, I have been advocating for some time that it is not a very good history of India we teach. We teach of course ancient India but then in isolation. We teach the colonial history but here again in isolation. Who came first to India? The British or the Dutch? Who created the first great discoveries in Indian history and languages? The British or the Portuguese? Not just these elementary questions. How we read our past, recent past, say the last 100 years? How we have to teach the next hundred years? What perspective we have to have, we of the independent India? Readers would find in the pages of this journal, often, about the various countries, the UK, USA and Asian countries and their very different education systems? In fact, the Americans are often more obsessed than we Indians about the effectiveness of their school education. There is a fear in the USA about others, more so the Indians might overtake them in key subjects like maths, science, engineering and other skills. There is a real backlash now against the Indians with IT skills migrating to the USA. How to teach Indian history? Indians lost lives in the two world wars, lost lives in the slavery trade conducted by the foreign governments, British included, the poverty and periodic famines and how India lost its self-confidence and will-power as a nation, as civilisation and people. All this must be taught to give a new confidence in the present status of India as a free country. Lately, I am advocating that we have to teach Indian history from an essentially Indian point of view. Not as the British saw India and wrote about India. Not the British versions. But an Indian point of view must emerge in our writing of histories. In fact, am becoming more and more tired of what is being written and published in India and outside about and Indian history perspectives. There are very many distinguished scholars now working in overseas universities. One critical view of the British history is that the British amassed fortunes in their overseas territories. Then they built their massive country houses that even today stand as a symbol of the best in British life and aristocracy. But how many in India know that the British also indulged in the worst of slave trade. In the 18th century, it became a fashion and a status symbol to take part in slave trade. Te British exported slaves from Africa and elsewhere, why, even from India to far off territories. In the West Indies, in the Caribbean seas we had had slave plantations in sugar, coffee and tobacco and the bigger the country houses they built the bigger was their trade in sinful activities, slave trade was! Caribbean leaders have recently approached a law firm in London to build a case for reparations against the British, French and Dutch governments from their exploitation and accumulation f wealth and properties earned out of slave trade. This shameful and disgraceful trade and wealth earning and building aristocratic houses is an untold story even in England today. There are some feeble voices now heard from such movements like Heritage buildings conservation etc. But in India we are totally in the dark and Indian scholars and historians must at least unearth much information on the slave trade from the Indian soil and the harrowing tragedies that Indian people went through. The abolition of slave trade, its bicentenary was celebrated in 2007 and it is time we in India also wake up and bring our history at least up to date and at least bring our lost lives to their deserving glory. This can be done by experts. But as a public person, I suggest we start teaching Indian history from a global perspective. We have to link the Greek and Roman histories. Roman Empire and its institutions, Roman Republic, its various other institutions, law, judiciary, roads, stadiums and their administrative structure. How Roman Empire survived for some 1,500 years? So too the concepts of democracy, freedoms etc from the Athenian times. Much more particularly we have to teach modern Indian history from the arrival of the many East India companies. Portuguese, Dutch and the British and the French East India companies. How the Portuguese introduced their language and education and Catholicism etc. How the Dutch who arrived at Pulicat in `1609 to 1690 who traded in textiles and also in slave trade on a large scale. Between 1621 to 1665, 131 slaves shipped sailed! From a number of South Indian towns and cities like Madura (1673-1677) etc. From Thanjavur and Senji between 1918-1620 2,118 slaved were sent out to Ceylon. Likewise, other foreign missions. Even from Tranqubar. That is how the world in future is going to be! There are now so many radical changes and we seem to live and teach so many things about which we are so ignorant! We seem to live through a time of momentous changes. Such statements are often made by many experts and scholars. One such statement is this but with so much impact about which we, the teachers and scholar and intelligent readers don’t seem to care for. Already the world is becoming a host to migrant populations everywhere. The so-called “foreigners” are who? None other than the growing population of migrants. The latest recent tragedy in the wake of the Lampedusa tragedy on October 3, 2013, just a few days ago, where over 300 African migrants drowned off the Italian island. The Italian government conducted even a state funeral for the tragedy. In fact, this is not the first time such a tragedy takes place. There are such tragedies taking place more often, off the coast of Australia and also Italy and other such vulnerable parts in the rush to get out of poverty and also in search of a better alternative for so many people. The just mentioned UN Reporter notes how the world is also learning to change. The many countries and government, the states often proclaim their sovereignty. This is still the territorial sovereignty but do the states and governments know that most of these states with migration polices don’t even know they can’t enforce any such policy. In fact, they are willingly or silently giving way to what is the great reality. The great reality of the modern world, if we can call this the post war world that is after the end of the Second World War, the world has seen a steady rise in migration across all national borders. Why, take India. India is today is one of the world’s great migration state. In the US alone we, Indians live something like 21 million Indian people. People of Indian origin are now a new term in the migration discourse, right? In fact, why we gave the title to this essay as India in the last 100 years. Why? We are the pioneers in outbound migration. Right from the 18th and 19th century onwards, under the British rule, we enabled Indian coolies to migrate to the distant lands, right? To South Africa, to the Caribbean islands to Fiji etc. Now? Now, we are also one of the countries to send out the best talents, doctors and engineers to the UK and USA. As for the unskilled a semi-skilled labour India is again a sort of leader. Go wherever you can, to the South East Asia we have low-skilled Indian migrant labour. Even in the USA and UK we see the low-skilled Indian labour engaged in all sorts of backbreaking work, from agriculture to floor washing to what have you. And it is not just these two countries have this migration problem. Germany has such a huge migrant labour. We were recently in Italy. We were struck by the high presence of Bangladeshi migrants and also Africans. One African lady is now a minister in Italian government and there is a backlash. But then, the UN Reporter says that the world needs migrant labour. To keep the economies of these countries going. He cites many instances. It is not an offence to be a migrant labour. The migrant labour is willing to work for low wages, whereas the local labour, the native labour prefers to live on the welfare and thus the world can’t do without the migrant labour. Closely related to the migration issue are the borders of states. The current control and regulation of territorial borders would also see some changes, face much impact once we realise that we have to have enlightened polices to allow people to travel freely across the borders and also to get work and to live, the opportunities that must become the rights of people, low and high-skilled people who have ambitions and creativity to live the way they like. Te new world of the next 100 years must be a world of greater and growing opportunities for people to live free and unrestricted lives. The point here is that we have to teach our children more and more about the way the world is changing. How to teach the history of our times? This is the key question of education today. How to teach maths and science? When the current generation of children, as they are, are growing up as computer-savvy and also learnt to acquire skills so fast for themselves, to teach the new knowledge areas we need to create much awareness. What is education for? How the computer age had exploded on ourselves in the 1980s and 1990s of the last century? How the current and future projections for the new skills, IT and IT related skills are going to change the way we work and live. Already we see an urge among the youth to create jobs and entrepreneurship. We have to teach about the young entrepreneurship. We have to teach about how the computers, Internet came along. How the WWW came about. Of course much about the social media, the Google and other Facebook and sister products and companies. How the world is going to be connected with the new devices? Why, even such knowledge like evolution. I am just now going through Richard Dawkins’ “The Greatest Show on Earth”, the evidence for evolution. I thought, as if am sure most Indians, most Indian educators might believe and even teach about evolution as a fact. But I am surprised to see in the USA and even UK that teaching of evolution is becoming more and more controversial! In these two wars how many Indians were killed and what Indian got from the two wars? What were our leaders, gandhiji in 1914 was 45 years old person! were doing? 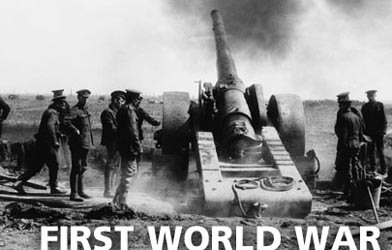 In the First World War, it is estimated 1.2 million Indian soldiers took part. Of which 74,000 were killed. In UK, the centenary of 1914 war is being celebrated and those who won the Victoria Cross are to be honoured in UK. Only those born in UK would be so honoured. The Indians who won the VC won’t be so honoured! The so-called Great War was fought for the “King and the Country”. In this, India is not part of the country! And India which went through so much poverty and the famines! Anyone has any idea? In the second war too, we have to tell and learn a different history. In the Eastern Theatre, in South East Asia, it was Japan who came to Indian Territory and it was Japan’s defeat that brought the war to an end. The surrender of Japan and the role of Doughlas McArthur role are not highlighted. Nor the dropping of the two atom bombs in August 1945.We have to learn this part of the story. The role of Roosevelt in the coming of Indian independence and also the role of such patriots like Chinese leader, Chiang Kei-shek and Madam Chiang Kei-shek who as leaders of an Independent China urged Roosvel to grant India independence. These facts are not mentioned or highlighted in our histories so far, right? Says Dawkins:”The plight of many science teachers today is no less dire. When they attempt to expound the central and guiding principle of biology, when they honestly place the living world in its historical context-which means evolution, when they explore an explain the very nature of life itself, they are harried and stymied, hassled and bullied, even threatened by loss of their jobs. At the very least time is wasted at every turn. They are likely to receive menacing letters from the parents, and have to endure the sarcastic smirks and close-folded arms of brain-washed children. They are supplied with state-approved text-books that have had the word, evolution, systematically expunged, or bowdlerised into change over time. Once we were tempted to laugh this kind of thing off as a peculiarity of American phenomenon. Teachers in Britain and Europe now face the same problems, partly because of American influence, but more significantly because of the growing Islamic presence in the class rooms. Abetted by the official commitment to multi-culturalism and the terror of being thought racist”(page4). Some 40 per cent of parents in the USA think evolution is false and creationism, the Biblical version of genesis is still true and must be taught to school children. He continues to play that role, that of keeping up that radical, even a sort of anarchist role in our times. He was in India recently. He spoke on the contemporary world he knows best. Tariq Ali is just what he has always been. An eternal rebel, a self-confessed street fighter, an Oxford figure in the early Sixties. He was elected as the president of the historic Oxford debating union; he went afterwards to take part in the famous Paris student rebellion that saw De Gaulle resign as the French President and the later developments thereafter. 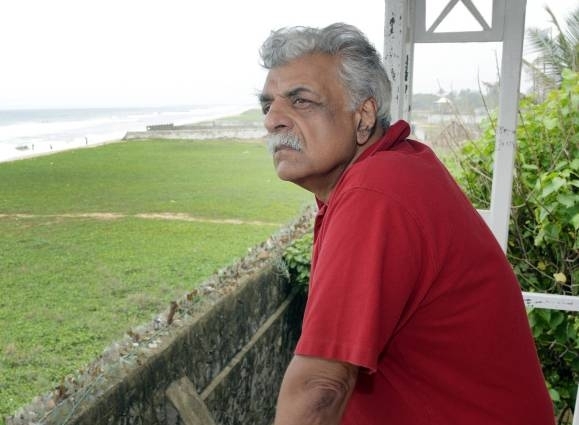 Tariq Ali was born in Pakistan in pre-partition Lahore and now, aged 71, remains an eternal rebel and optimist. He has written extensively and his books are all about the Leftist issues and causes. Some of his titles like My Street Fighting Years are read widely and he remains a widely travelled man on a mission of his own. He lives in London where he is a film maker, journalist, he is on the editorial board of the long-time leftist magazine, New Left Review and his knowledge of the contemporary world is so wide and directly acquired. He knew and worked with so many rebels, Che Guevara, he knew the Arab World, the Latin American leaders and he of course is deeply involved with Pakistan affairs. He was a personal friend of Zulfikar Ali Bhutto, he was also close to the late Benazir Bhutto who too was at Oxford and also got elected as president of the Oxford debating union. Now in India he is talking about and talking out on all sorts of topics and issues, from the rise of terrorism, the first major attack on the US, the 9/11(he says such an attack is not repeated so far and He sees American capitalism, American imperialism are the current reality. The rise of terrorism he traces from the 19th century anarchism, he reminds us, Indians, that terrorism arose in India, in Kolkata and Punjab during the early years of nationalism in India and now in the 20th and 21st century terrorism has taken some bizarre forms. There is no clash of civilisations, he asserts strongly. Again he terms it as capitalism, imperialism and their revenge of sorts. As for the rise of terrorism in Arab countries he traces it to the Shia-Sunni divide, he has much to say on the Arabian Wahabism. These are worth pursuing further by Indian readers. Tariq Ali is very enlightening about what is happening in the Middle East, in the Muslim world in particular and also in the Latin American countries. He has much insightful things to say about China which, he alleges is just mimicking the Americans. And also there is tensions within the Chinese Communist party. They have abandoned the old style Communism, they, as an ideology is all only reviving and sticking to nationalism.”There are disturbing signs in China. There are people within the Chinese leadership, who at least in private, talks about the Kuomintang regime and Chiang Kai-shek quite favourably.”Chiang, Tarq calls names in unprintable worlds. We were in China recently and we visited the residences of the great Chinese leaders, Sun-yat-Sen and we could find that the Chinese people really don’t like Mao and they have such great regard, why even pride in what the nationalist leaders did for the rise of a modern China. Tariq Ali has of course much to say about the media today, the media in the new countries, he has some very interesting observations on such new TV channels, Al Zazeera of Qatar. We were also in Qatar recently and we could now get more understanding of how the much-admired Middle East TV channel rose to become a very modern, very independent, very liberal voice. Of course Tariq Ali has a different version. Al Zazeera transformed the viewing habits of the region, it played a very critical role in the Iraq war. Tariq went to Al Zazeera and met its director Wadah Khanfar and he has much praise for the work being done by the channel. But the Americans interfered and yet the Emir of Qatar resisted American pressure to sell it or privatise it. But after the fall of Morsey and Qatar decided to back the regime change, Al Zazeera, says Ali, has become an instrument of the Qatar state. Ali also has much to say about the Latin American TV, Telesur, jointly owned by the Latin American countries. Tariq Ali is a film producer and a culture enthusiast, he in fact inspired some of the 20th century rock stars. Mick Jagger’s(of Rolling Stones).”Street Fighting Man”. This is also the name of his autobiography! Also John Lennon’s(of Beatles)”Power to the People”. What he now says about the rise of American Hollywood cinema culture that had impacted the unique features of some of the 20th century cinema strams. France New Wave films are no more. France cine is now showing more Hollywood films. Italy social realism films, Germany’s neo-expressionism etc. Also about the rise of new information techs and how America now controls and even has a monopoly of information. Of course, Tariq comes to the latest developments.How the Wiki Leaks Assange, Snowden and Headly Manning.The latest jail term for Manning has raised serious questions about the US attitude towards freedoms and free press. Tariq Ali calls Snowden as a freedom fighter. Eric Hobsbawm, in his last book of essays, Fractured Times, asks about the new likely shape of culture, cultures, media and arts in what we can call the post-Bourgeois age. Hobsbawm is a keen student of the 10th and early 20th century bourgeois society, bourgeois culture which he says it had gone forever. These Left leaning people, the Left and Marxist intellectuals, imagine that the bourgeois of the old era are the only true middle classes. What about the current new middle classes. Of course they are now flooded with information, new IT technologies and also many devices to enjoy music and culture.Books are also now easily available on the Internet and e-books. There is a wider access to latest offerings, from music to books to online newspapers to films. How these arts would influence the thoughts and imaginations and creative energies of the new generation? 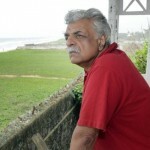 Certainly Tariq Ali is very innovative and also very provocative. His obsession with US capitalism is flawed. What about capitalism in old and new countries. In the European nations as well as in new countries like China and India. Russia is seen as a highly corrupt country, so too India and also such other countries like Indonesia. The world, the masses of people are all shedding poverty, there is economic growth everywhere, in all countries, so too the growth and spread of democracy. There is a great yearning for freedoms by people at all levels. All these are the new positive developments. The old fashioned leftists are now becoming a negligible minority.